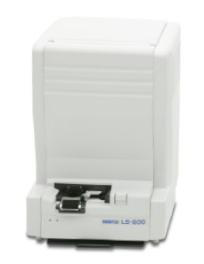 The LS-600 is a low capacity scanner for 135 and IX240 film. A TWAIN driver is included as a standard feature, so the unit can be connected to a PC and used as a stand-alone scanner. Connect this unit to a PC with EZ Controller Software and a Noritsu digital printer (both sold separately) to produce a minilab configuration. Digital ICE, which corrects dust and scratches on the base layer of film, is included as a standard feature. Noritsu Digital Masking, which corrects dust and scratches on the emulsion layer of film, is available as an option. ?